I was up at about 5 am which seems to be my new natural wake up time. I like it better than 3 am!! I worked on the computer for a while and was probably 15 minutes from getting dressed and out the door for my walk, when what do I hear but Rain! 😦 I must say, I was not happy but I decided to re-work the day. I had these little babies, some Gala apples I got at the produce market earlier in the week that weren’t great to start and went down hill quickly. So…when you have “sawdust” apples what do you do? Get out the crock pot and get to work! Crock pot full!! 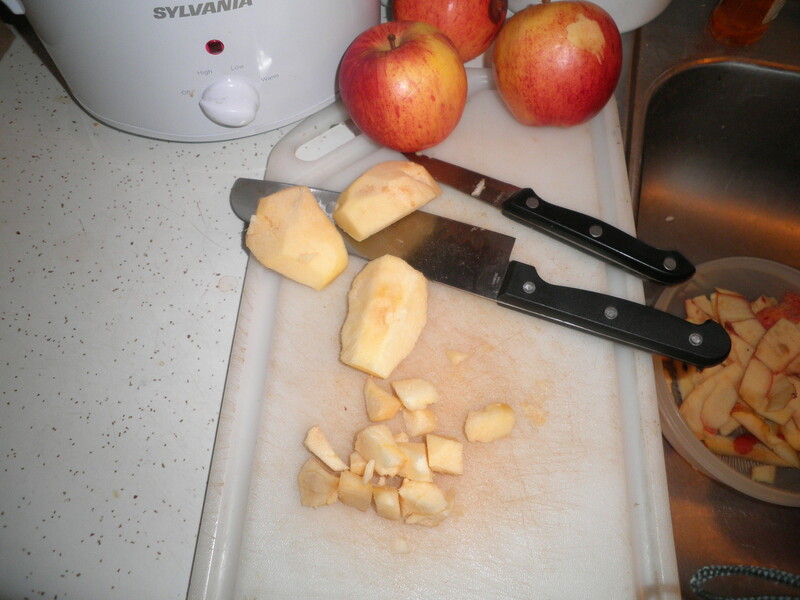 After chopping everything, I sprinkle in 2 packets of Splenda, and a liberal sprinkling of cinnamon and apple pie spice. Plug it in, turn it on and do other things! What I did was get on my exercise bike. Please pay no attention to the “stuff” on the floor! 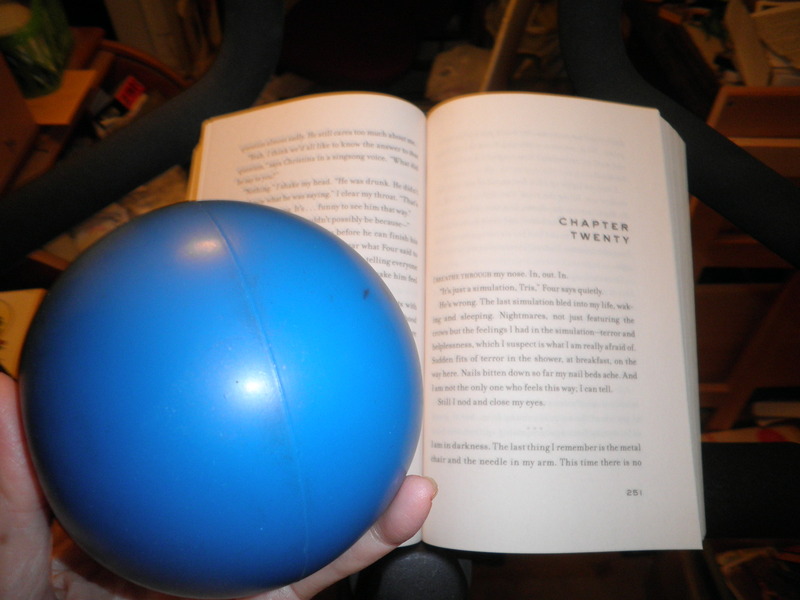 I read while riding as well as using one of my hand weights. It was slow to start but now I’m really getting into it! In fact, I didn’t want to stop reading and ended up riding for an Hour! I was impressed with myself, because I really need to get as much exercise as possible. I was feeling so stiff and sore and the first 2 days I walked I was Very stiff after. Today, with riding for an hour…I’m not stiff at all. I also tried to step up my speed. In fact, besides using the hand weights while on the bike, anytime I read, I try to have my hand weights nearby and use them. Building and maintaining upper body strength is important. 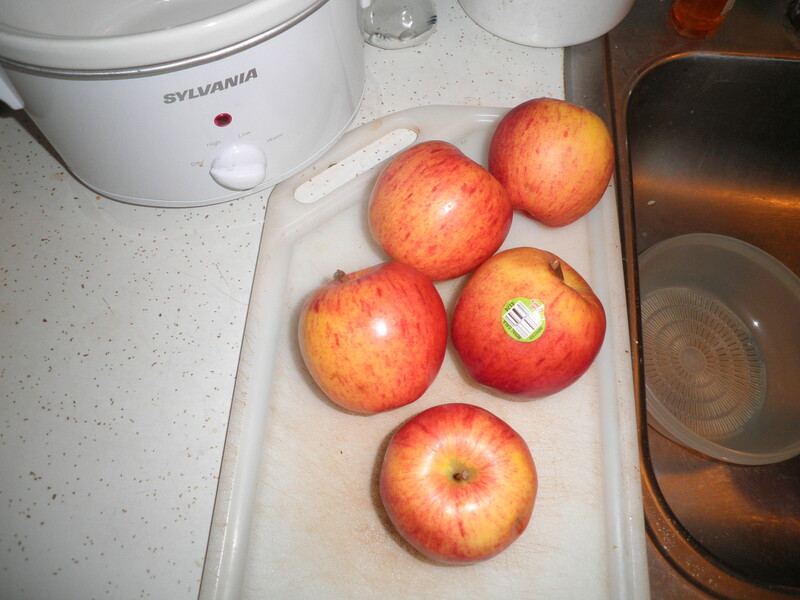 Oh, and the apples…they crocked away while I rode the bike, got cleaned up, dressed and went grocery shopping! 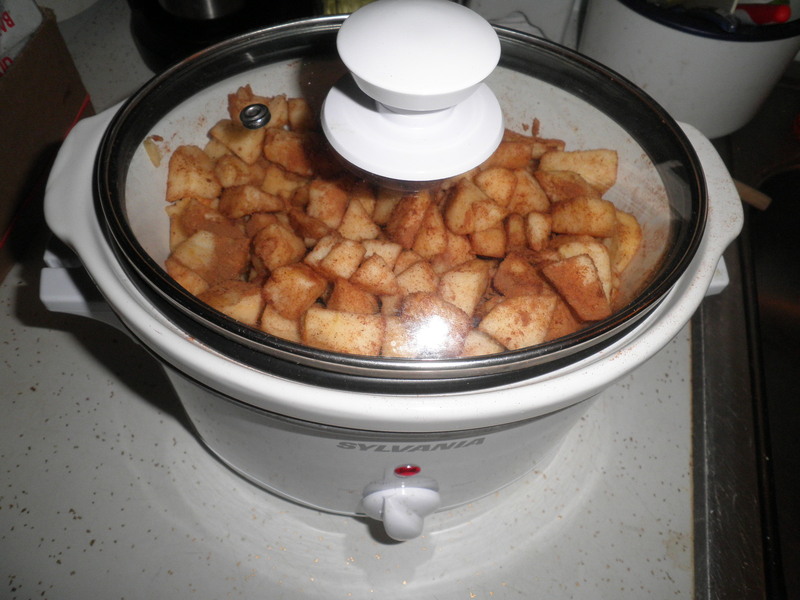 This entry was posted in Uncategorized and tagged crock pot, exercise, fruit, Weight Watchers. Bookmark the permalink. way to go on making the most of a rainy day, fran! 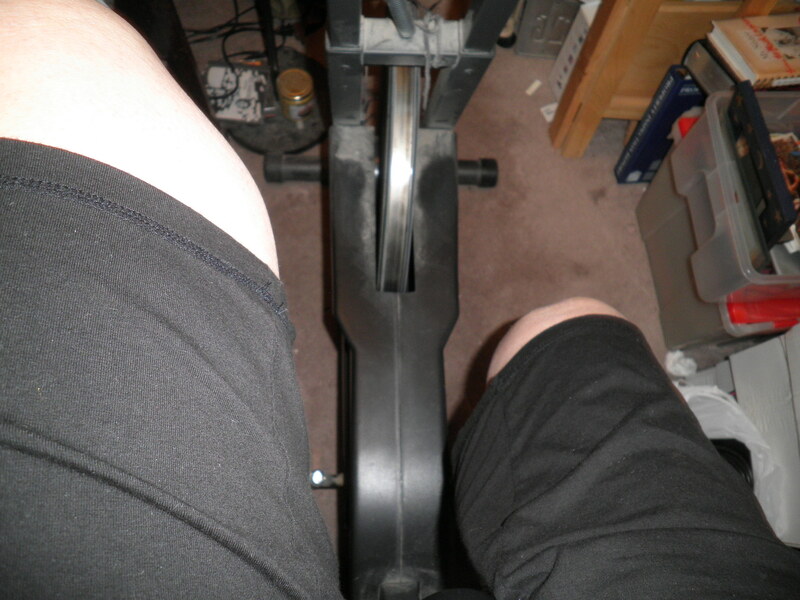 love the pic of your legs biking…looks like the bike is in a very interesting spot! we had a gorgeous sunny day yesterday…maybe the sunshine will travel your way today?! Cathy, my bike is on my little side porch with is stuffed with things already packed and things being sorted. It’s where my computer is too. It’s great though to have the bike. I’ve logged a lot of miles on it, although the mile meter doesn’t work any more. I should get a new one but don’t want the expense right now. This works and there’s always walking! I don’t hear any rain. Hope to be out the door as soon as it’s light! Have a great day!! That’s so cool when you get so distracted that you just keep going! Yay. I never think to put apples in the crock pot. Looks yummy. Have a great weekend Fran! Stacie, they’re delicous! You have a great weekend,too! I’m awed by your multitasking efficiency! It is indeed amazing when you get distracted/absorbed while exercising and are able to go further than you anticipated. It felt really good, Zo! Did it again today! I liked Divergent, it was a fun book! 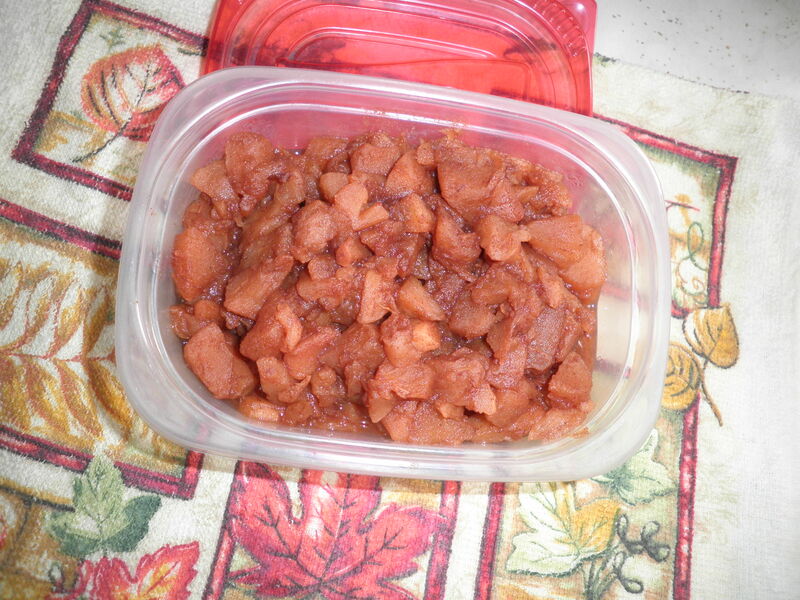 And great way to rescue blah apples. Mmm, it’s a rainy day and I could definitely go for a big warm bowl of apples and oatmeal right now! Allie, it improved as it went along. Sometimes it just takes a while to get into the author’s rhythm. Finished it this morning and I liked it! The apples are so good w/oatmeal!